What do you want to accomplish at the show? How many prospects are we dealing with? What is the theme of the show? Or of your booth? (ie. Are customers coming to see the newest products? Or are they coming to hear about the latest technology stories? Or do you want to share success stories or “case studies” with your clients and prospects? What promotional strategies have you employed before? What products have you incorporated into your strategy? How did those work out? Did you get the desired results? 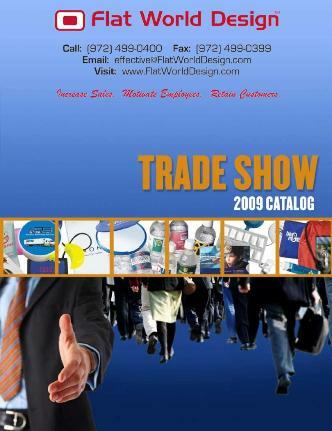 Tell us about a recent tradeshow story…Or feel free to click on the image above for some tradeshow advertising inspiration. You can also click here to see our complete line of “flipper” catalogs.